24 hours or your circuits are FREE! ... you earn 1 point for every euro spent and you obtain up to 30 % off for each order. The point will be credited to your account once the invoice is issued. You can check the total amount of the point you earned in the "My order" page, under the list of past orders. The points will be credited to your account once the invoice is issued. Unspent points will remain available for two years. It is possible to re-order a PCB that you ordered in the past. You will have a 10% discount and there will be no need to upload the files again. You just have to select "PCB Reorder" from the link in the homepage. 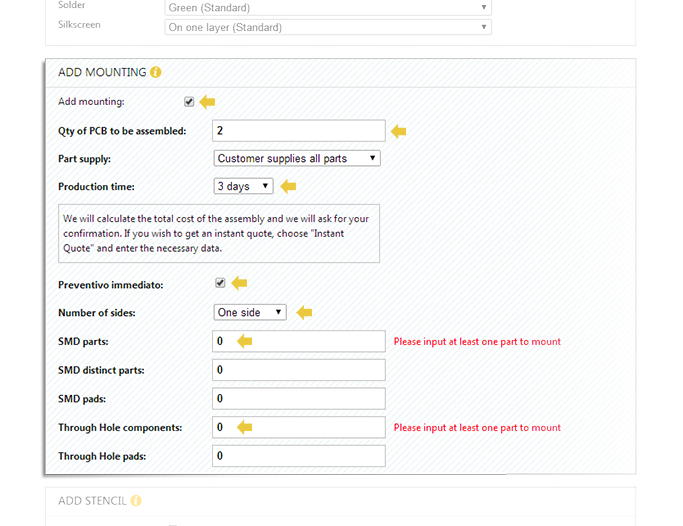 or select "PCB Reorder" from the left menu in any other page. You will see a list of previously ordered PCB. 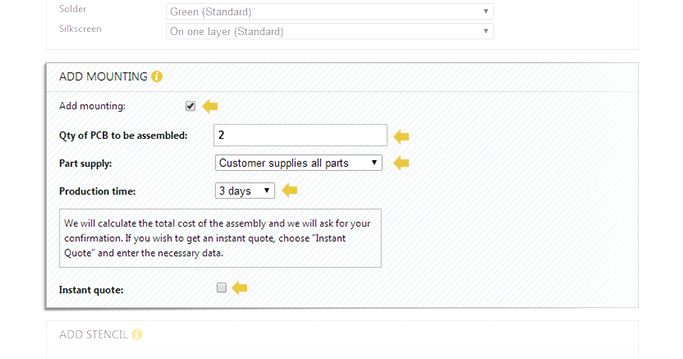 Clicking on the grid titles you will be able to sort the list as per Order number, your internal code, type of PCB, etc. 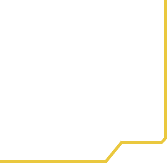 Once the PCB you would like to reorder is selected by clicking on it, pressing on the "Reorder" button you will be able to proceed as in a standard order, but you will not be asked to upload any file and the price will be 10% less. It is possible to receive a copy of the invoices PDF file to email addresses different from the one you used to register simply inserting an "Accounting" contact. If you click on "My Addresses" link on the left menu you can access the "Address Management" page. When you click on the triangle on the left of the Company name a subgrid will be displayed. 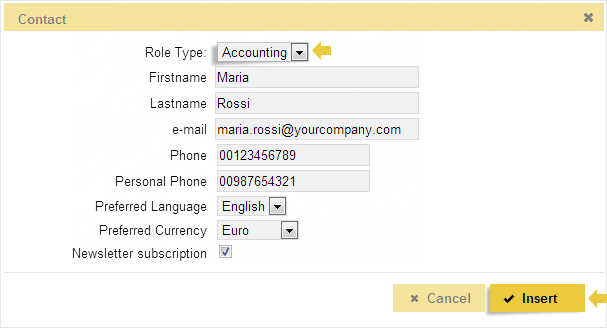 Using the buttons on the subgrid you can Insert, Edit or Delete a contact. To insert a new contact, please, click on the "Insert" button. A new window will appear and there you can insert your contact data. If you select an "Accounting" role type, the contact will receive a copy of every invoice issued to the company, instead, if you select a "Technical" role type, the contact will receive any message regarding the production of the PCB. 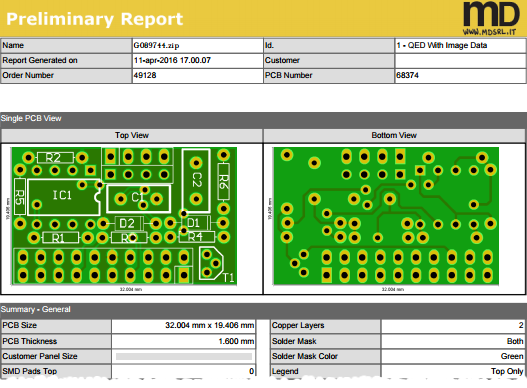 Order the mounting of your PCB is very simple: after you have carefully read and understood the technical notes you just have to tick the box "Add mounting" on the last page of the quote/order procedure for any of our printed circuit board product. ... or indicate all the data and get an instant quote (excluding the cost of the electronic components in the event that you ask us to buy them for you, in part or in full). 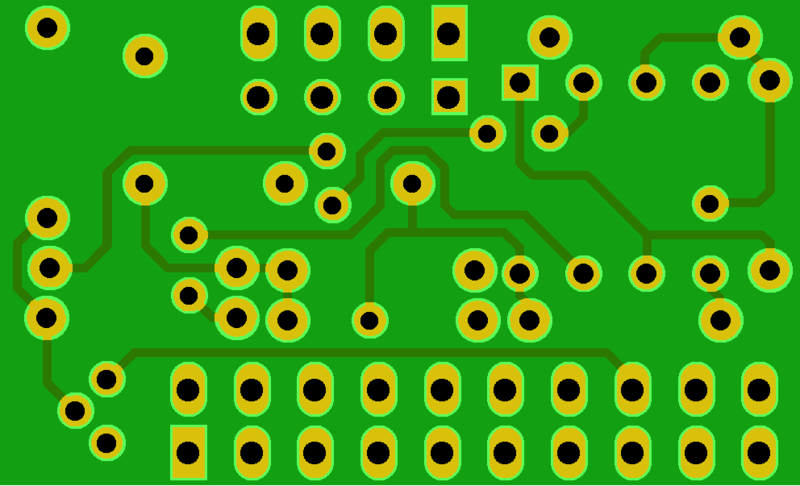 Qty of PCB to be assembled: you can ask to mount only a part or all the printed circuit board that you are ordering. Number of sides: does your printed circuit board have components on one or both sides? 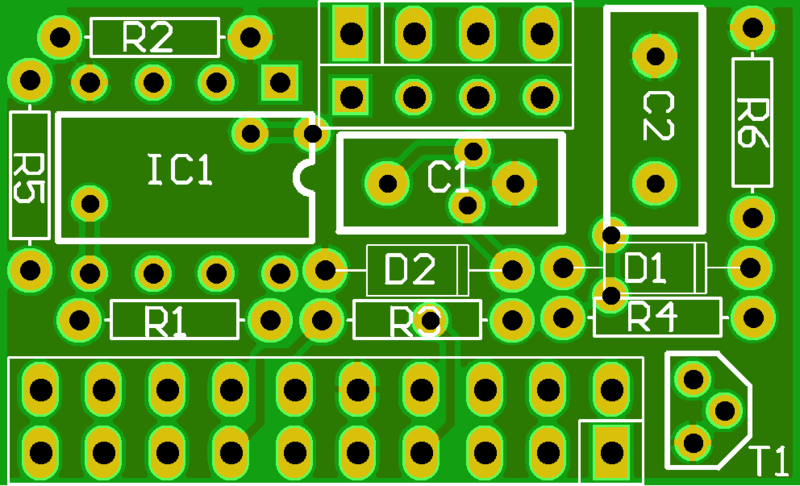 SMD pads: count all the pads of your SMD components on the PCB. For example if you have 2 resistors, 2 capacitors and one 10-pin IC, all SMD, you should input 18 pads (Resistors 2x2 + Capacitors 2x2 + Integrated Circuit 1x10). Through Hole components: in case your PCB mounts traditional components (through hole), please indicate how many. 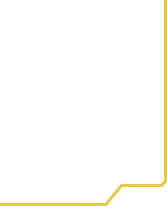 Part supply: We prefer that you choose to provide us all of the components ("the customer provides all the components" - shipping instructions), but we can also buy them for you from one of the featured distributors (Farnell as a first choice and then, if not available, RS or DIGIKEY) with a 20% charge on the list price and a payment in advance by credit card or bank transfer (which must be received at least two days before the beginning of mounting process). If you ask us to supply the components, since it is not possible to determine the cost of the components at the time of order, once we have approved all your technical documentation regarding mounting your pcb, you will receive a request for payment integration. Remember that to mount your PCB, a stencil is required. If it has never been made you must order it. It is possible to do it during the pcb order process simply ticking the "Add stencil" box. For instructions on how to order a SMD stencil please read the page at this link. At the moment the process is being finalized with DHL. We apologize. Please contact us at ++39 0131 860254 and select 2 (Administrative office) to receive instructions. Thank you.